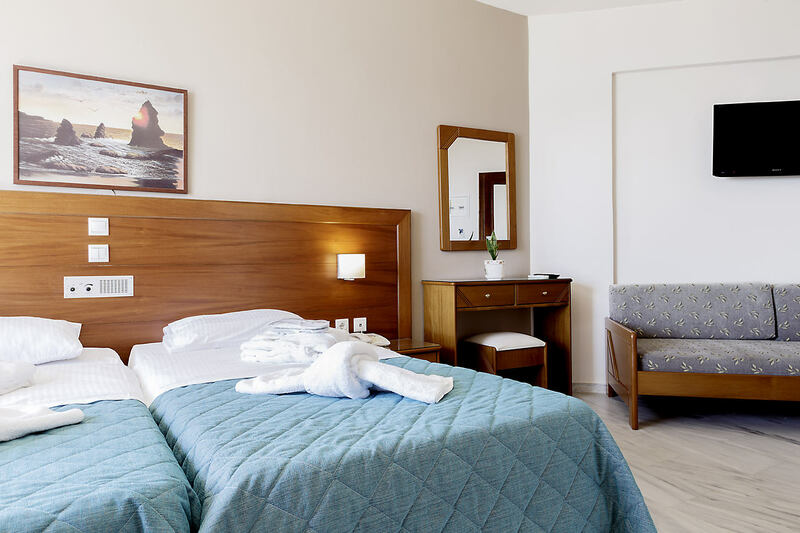 Welcome to Rania Hotel at Platanias - Chania in the beautiful island of Crete. 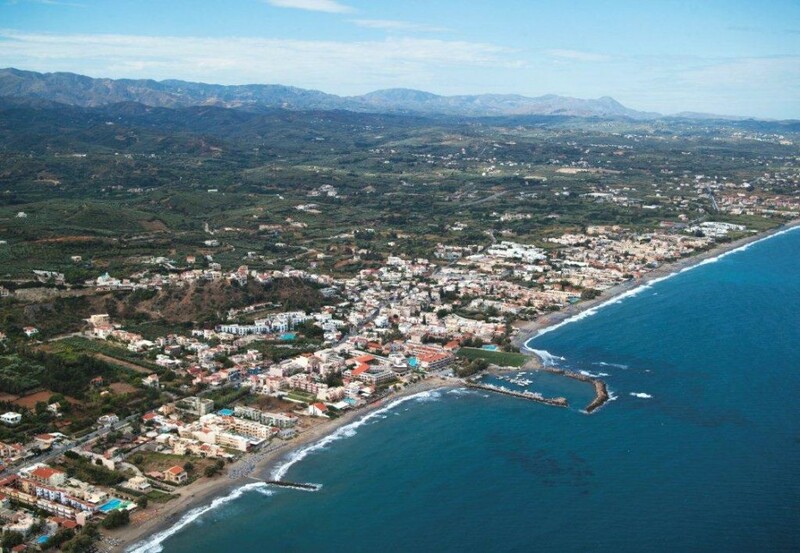 Our Hotel is operated and owned by Kalafatakis family and it is located in the seaside of Platanias. In the 1 acres of green next to the waves we have created a building complex of fully furnished apartments. 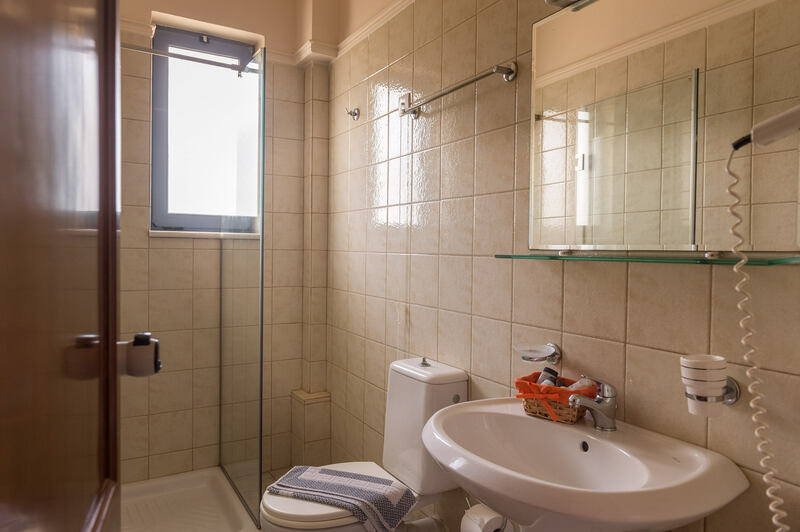 The apartments and the studios can accommodate 2 to 4 persons including separate bedroom, living room, and fully equipped kitchenette, coffe machine and bathroom with hairdryer. 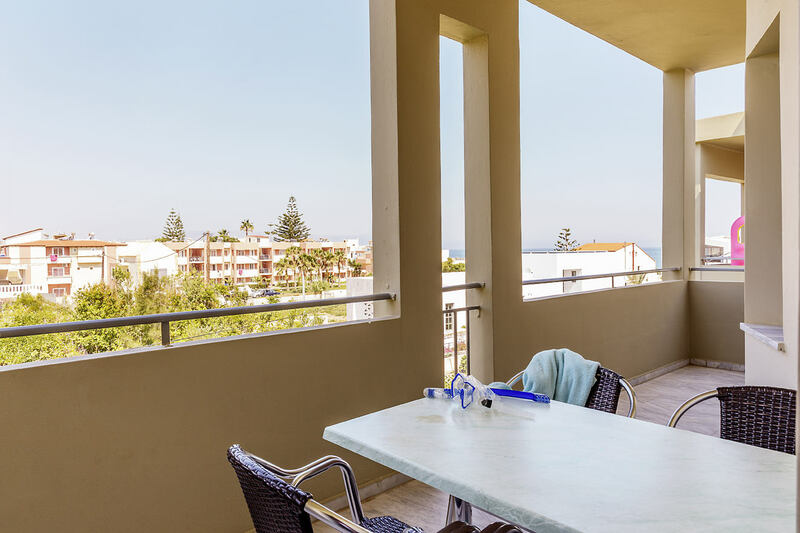 You can relax in the large balcony with spectacular view of the Cretan Sea. 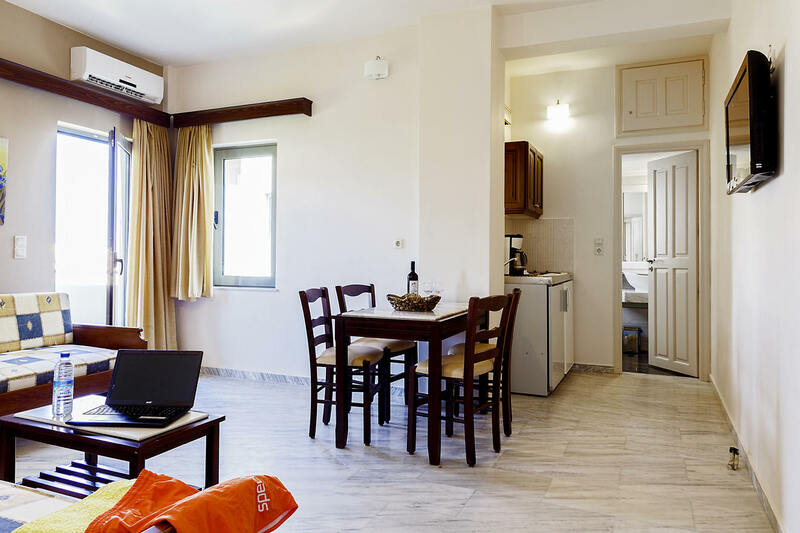 A telephone, A/C, TV, Wi-Fi internet, and free Parking area are also provided. 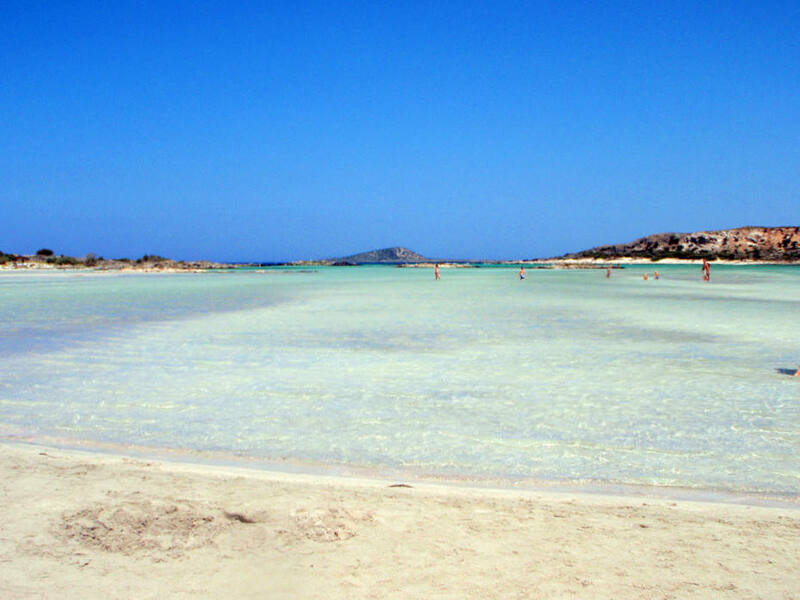 The picturesque beach is 10 meters away from the Tavern and from the Hotel complex. 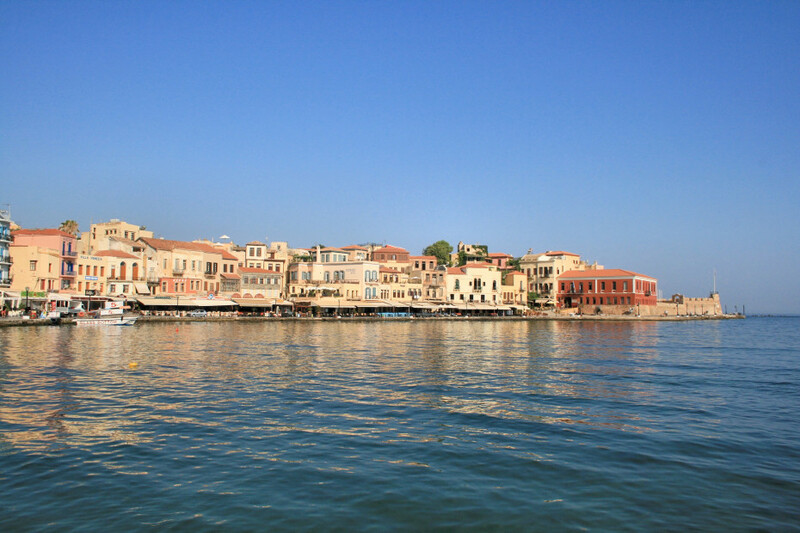 The center of Platanias is 200 meters away and the center of the old town of Chania is 10 km away. 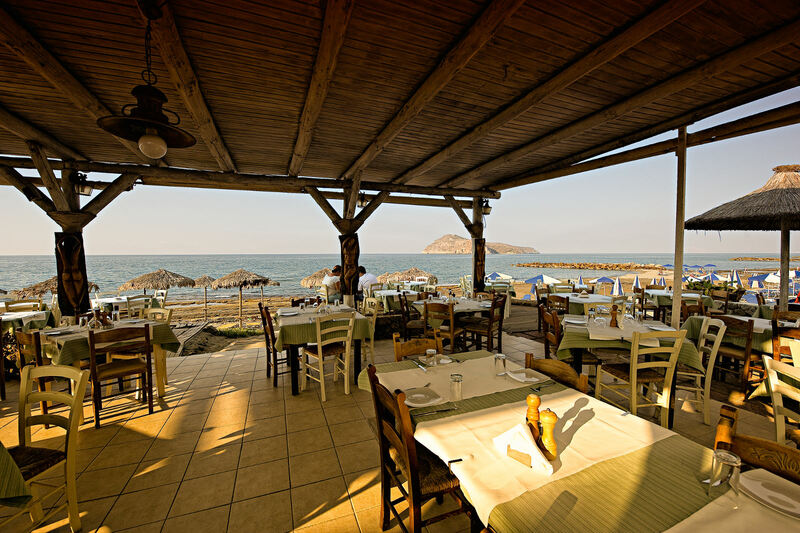 A basic reference point on the “map of tastes” and sophisticated dining both in Platanias Town and in the wider Chania region, offering genuine local cuisine on an “a la carte “ menu, is the restaurant of the Rania with its unique characteristics. 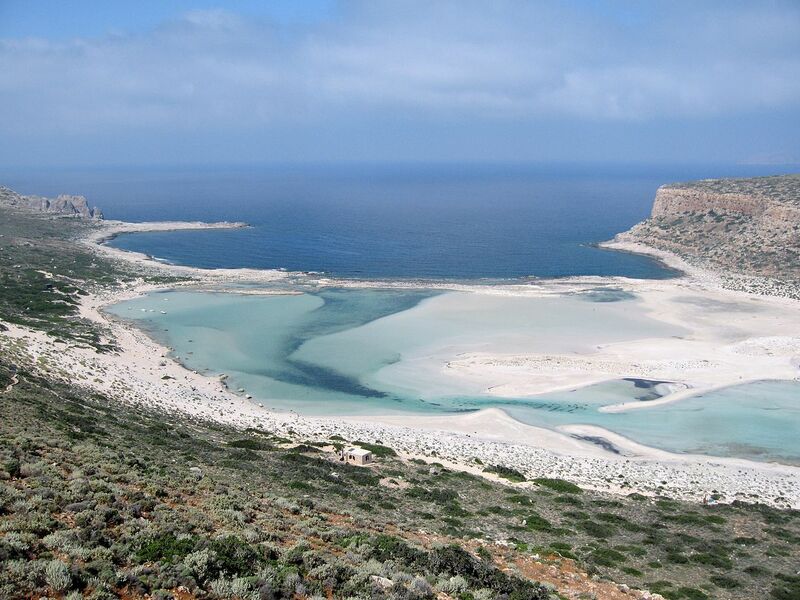 Welcοme to Chania. 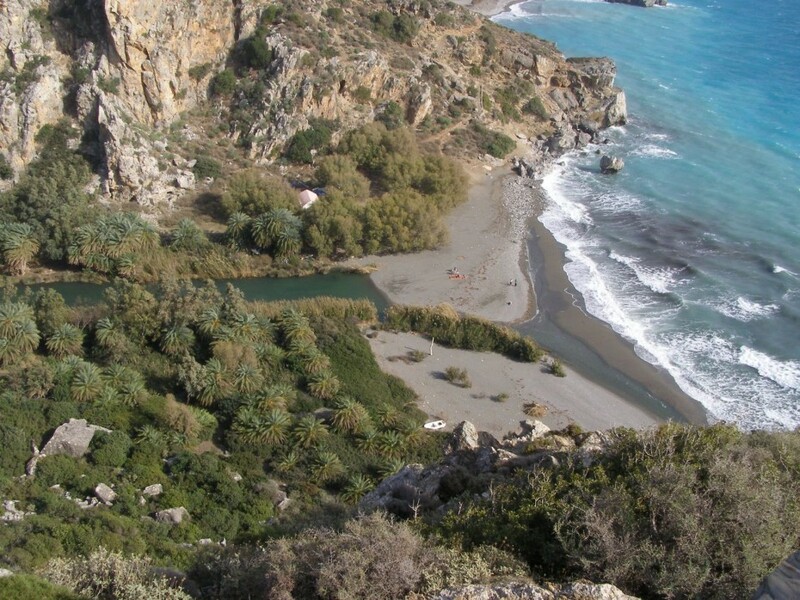 The most beautiful prefecture of Crete, that combines unique in the world natural beauties with archaeological and historical monuments and of course, endless beaches. 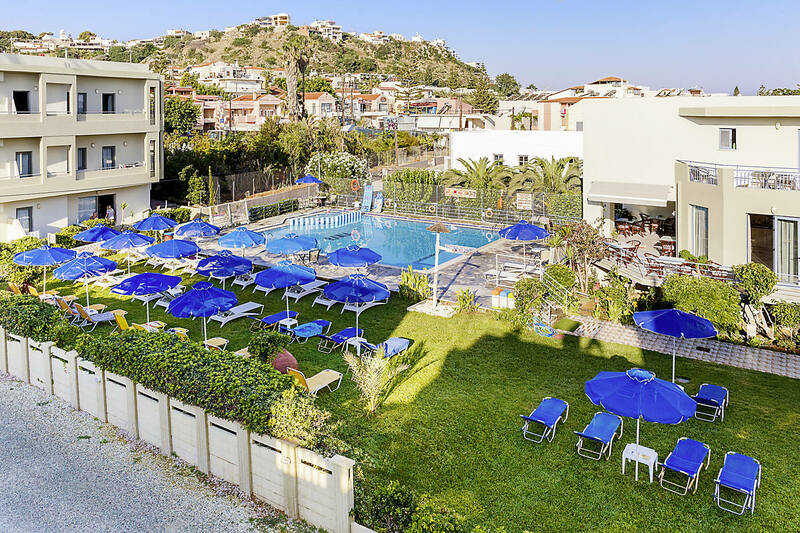 Rania Hotel is built on one of the most beautiful and colourful beaches, 200 m. from cosmopolitan Platanias and 10 km from the centre of Chania ensuring a combination of choices for unforgettable vacations in a friendly and family atmosphere. 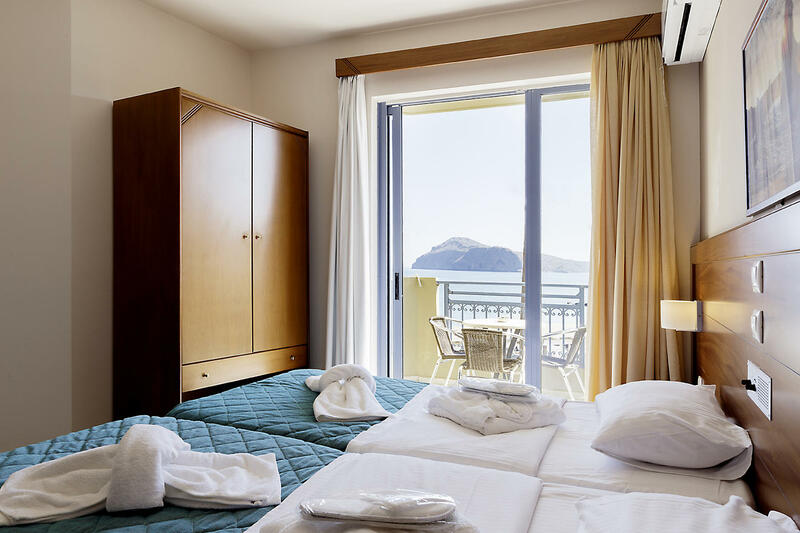 The hotel's advantageous position offers unique comfort and tranquility, amazing view to Thodorou islet shelter of wild goat (protected species). 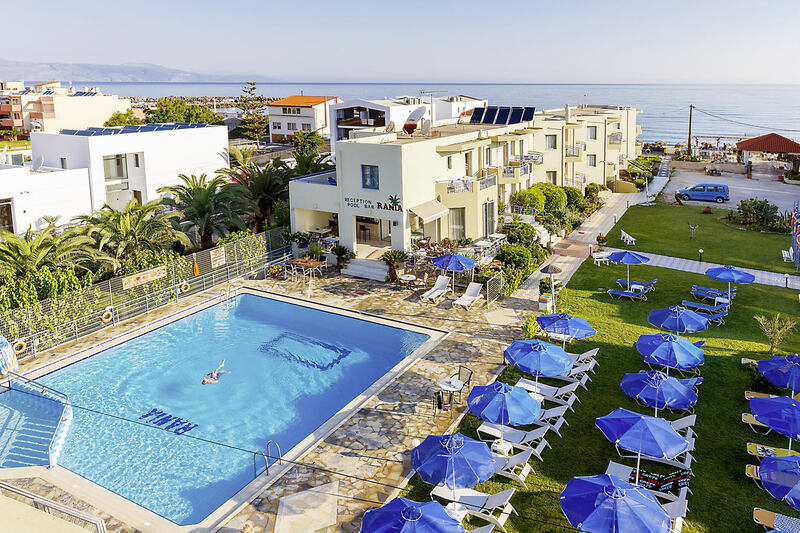 Platanias is one of the most popular resorts in Crete and it is so close to Agia Marina that they have essentially merged into a single large resort. You certainly won’t be bored here! 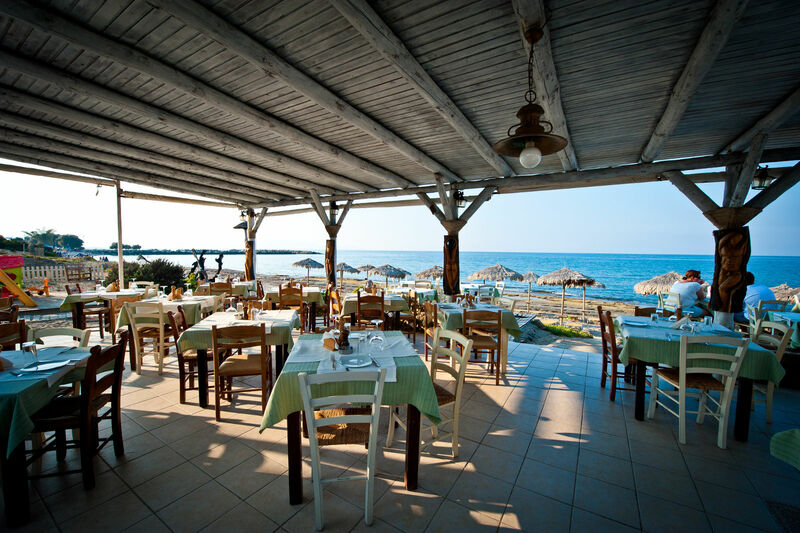 A busy nightlife, bars, restaurants, a large sandy beach and countless hotels along the seafront are the basic features of Platanias, the main resort of Chania Prefecture. Outside of the hotel is the Bus station for the local bus to Chania and to Kissamos. 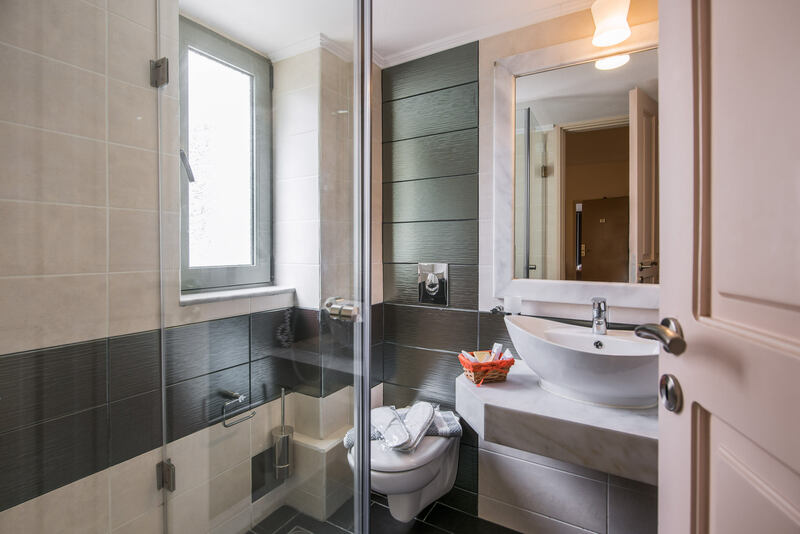 Our Apartments can accommodate up to 4 guests. Each apartment has 2 bedrooms, a living room and kitchen. The whole coverage of the apartment is 54 sqm without the coverage of the balcony. 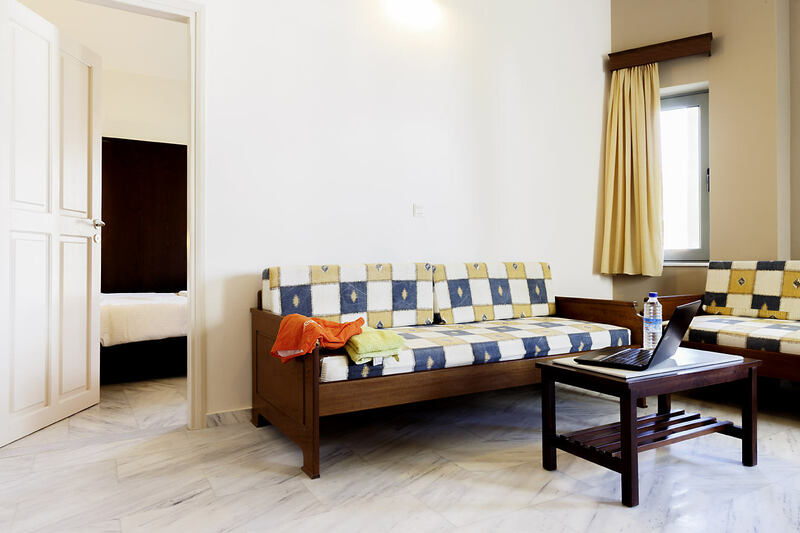 Our Studios can accommodate up to 3 guests. 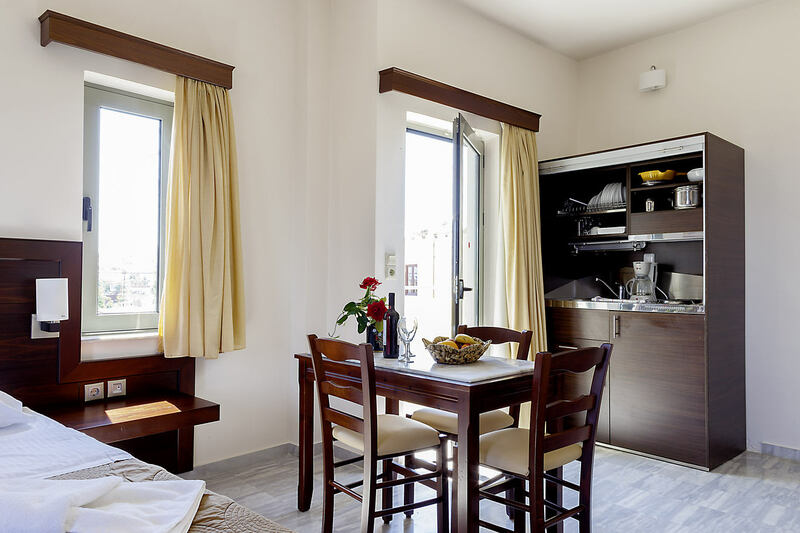 Each studio is divided in one bedroom and a kitchenette. The whole coverage of the apartment is 34 sqm without the coverage of the balcony. We just launched our modern and user-friendly web site. 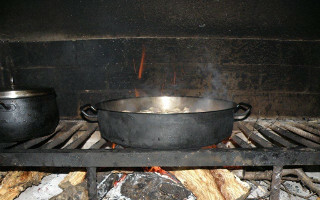 Our web site is designed using all best practices and is accessible by mobile devices (smartphones and tables). 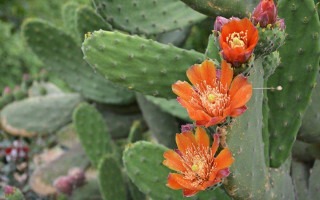 ...offers peace of mind and pleasure of the senses , especially vision, as well as knowledge on plants regarding their nutrients and benefits. It is one of its kind all over. 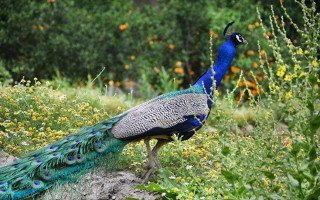 In an area of approximately 20 hectares , in a unique park whose extraordinary landscape and microclimate really make the difference , you will have the opportunity to see fruit trees from all over the world, herbs, medicinal and ornamental plants – a real paradise for hundreds of plants and animals ! Right in the middle of this colourful , lively landscape, you will come across the burnt-down trunk of a centuries-old olive tree – a memorial and reference not only of the great fire which broke out in the area (in and all around the park) in 2003, but also of the origin and history of the park. 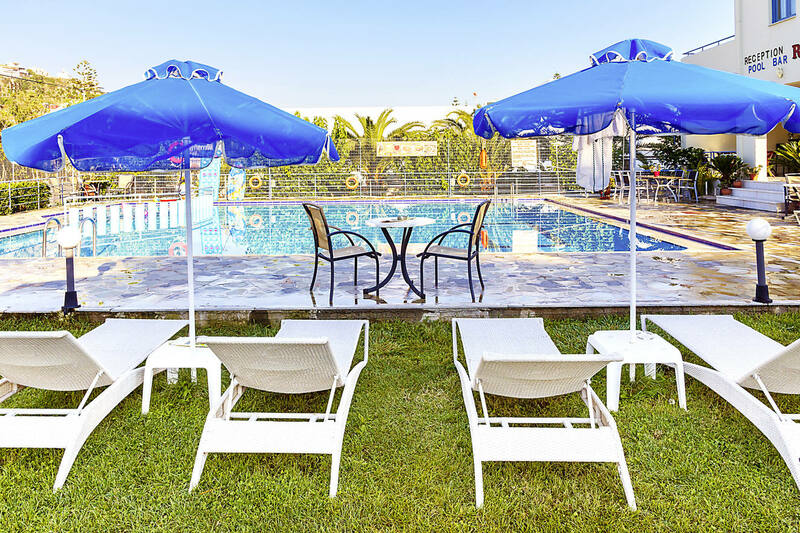 The Park comprises one the newest and most interesting sites of the , located only 18 kms away from the city centre at the foot of the “Lefka Ori”. 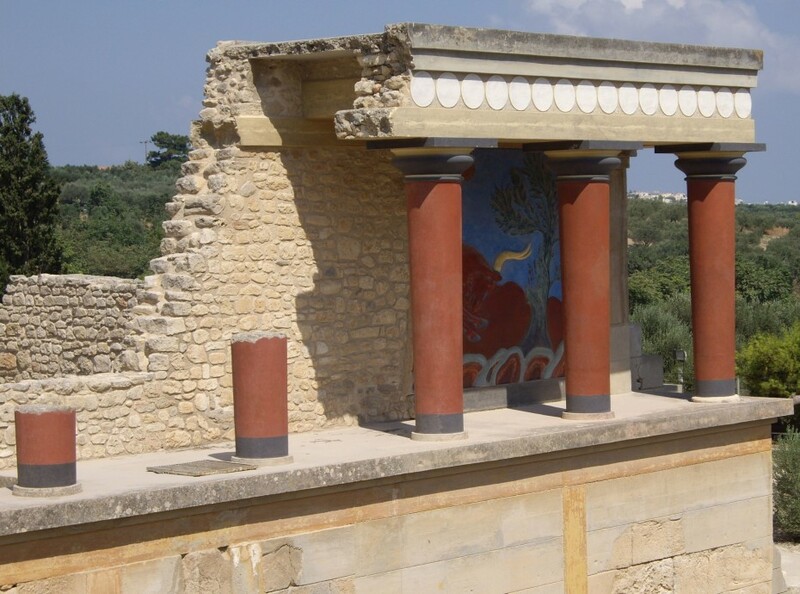 It is an ideal destination for visitors of all ages since it combines pleasures that only can offer ! 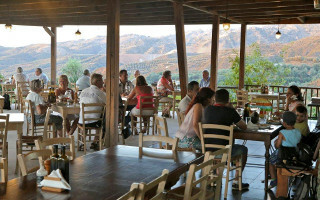 A reference point on the map of “refined” eating in Chania and all over Crete, this restaurant, located in the park, offers genuine local tastes through an “a la carte” menu and its unique characteristics. 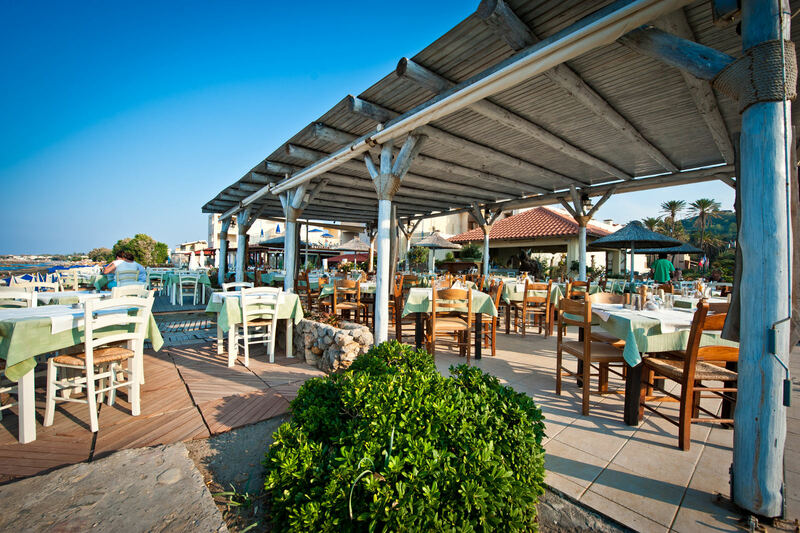 Enjoy your meal and relax on the spacious balconies of our restaurant, taking in the majestic view, our hospitality and food prepared with ingredients coming from our vegetable garden as well as herbs and fruit coming from the park. 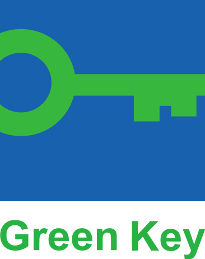 Green key is an eco-label awarded to over 1500 establishments in 28 countries worldwide.